GWO thanks all those who attended auditions. As always, there was a wealth of talent and we wish we could give each and every singer a role. Next auditions will be in fall of 2019 or early winter 2020. Auditions for Greater Worcester Opera are held on an as-needed basis. 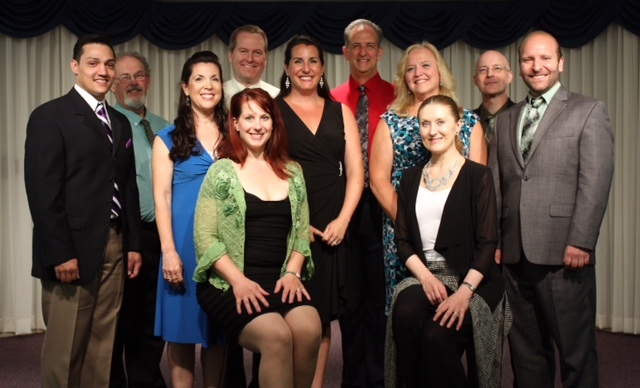 Depending on the requirements of the opera, we will sometimes invite singers with whom we have previously worked, or who have supported our organization by performing in one of our annual summer concerts. We also solicit recommendations from the directors of other local opera groups. If we cannot fill certain roles or need to supplement our chorus, we will host open auditions which are posted on the Boston Singers Resource website and New England Theatre 411. Greater Worcester Opera seeks singing actors who are professionally trained and highly skilled. In addition, the qualities of good communicator, gracious colleague, and "team player" are highly regarded in this organization. If you are this kind of singer, and are interested in performing with Greater Worcester Opera, please email your headshot, bio, resumé and website link (if applicable) to auditions@greaterworcesteropera.org for further consideration. Thank you for your interest. 1. You gain valuable stage experience. 2. You can list an opera on your resume. 3. You can learn a lot by watching, listening to, and interacting with great singing actors. 4. You can get to know an opera not just by hearing a recording or watching a DVD, but by performing in it. 5. You can let directors get to know you. 7. You can support local opera by being a part of it. 8. You can support the art of opera by exposing your family and friends (who might not ever go to an opera if you weren’t in it) to this beautiful art form. 9. You can enrich your own artistic life by having new musical experiences. 10. You can be onstage without the pressure of being in the spotlight and having lots of solo lines to memorize. 11. You never know who’s in the audience watching, and who may be calling you because of your riveting performance as a village maiden/lad. 12. The best reason to be in an opera chorus is… it’s fun to sing and perform! Greater Worcester Opera often utilizes covers in its mainstage productions. GWO’s reasons include 1. having a prepared singer ready to take his/her role in the mainstage performance if a principal becomes ill or unable to perform, 2. having a prepared singer fill in at rehearsal if a principal performer is not able to attend a rehearsal due to illness or an excused absence, and 3. providing a qualified singer the opportunity to learn a complete role, to both have the role in his/her repertoire, and to be able to list the role on their resume as a covered role, which is of great value on a resume. Cover singers are expected to attend all principal rehearsals, take blocking and musical notes during these rehearsals, and when possible practice offstage with their cover counterparts if applicable. They are expected to have their music and blocking memorized and performance-ready at the same time that principals are, to achieve the same level of preparedness. Additionally, covers are expected to perform in the chorus of the opera, attending these rehearsals and memorizing this music and blocking as well. Singers covering roles will be listed in the program as “covers”. Because of the limited time for rehearsal, covers will not be guaranteed rehearsal time, but will be responsible for learning and integrating music and blocking through observation during rehearsal, and in private practice time, and will get corporate rehearsal only if time allows.